The children of former billionaire Sean Quinn Snr used the Quinn Group as "their personal bank", the High Court has heard. 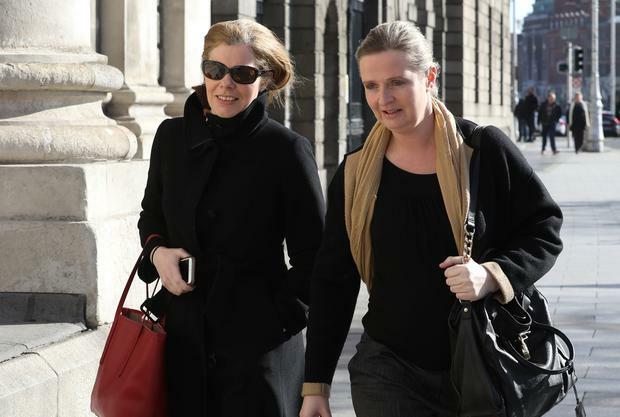 While they drew salaries of €21,000 or €31,000 from the company and portrayed themselves as living modest lifestyles, the reality was "very different", a lawyer for the Irish Bank Resolution Corporation (IBRC) has claimed. Paul Gallagher SC said one example of this was the €1m spent on Ciara Quinn’s wedding at the then Quinn-owned Slieve Russell Hotel in Co Cavan. The money was never repaid after the hotel was taken over by IBRC. The barrister said they had taken €1.95bn out of the company. This included €1.6bn alone in 2007. Mr Gallagher also alleged the children engaged in "a sophisticated and devious fraud" by taking assets out of the family’s international property group at a time when such assets were part of the security for massive borrowings. 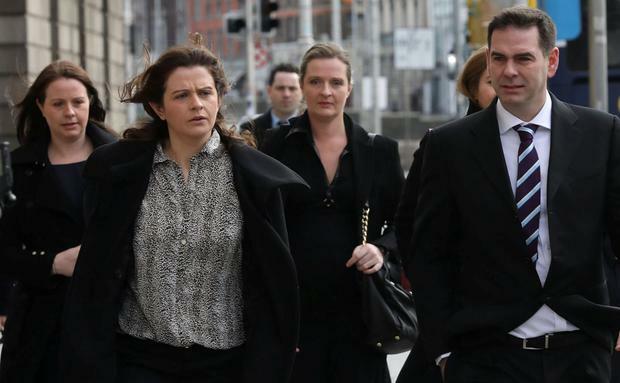 His comments came as IBRC opened its defence of an action by the five Quinn siblings, Sean Jr, Ciara, Colette, Brenda and Aoife, against IBRC, and its liquidator Kieran Wallace. The children say they should not be held liable for €2.34bn in loans advanced by Anglo in 2007 and 2008 to fund losses by their father’s disastrous speculation on stock market shares. They also claim the security on the loans is invalid and unenforceable. A key plank of their case is that they were unduly influenced by their father, even though it was they who held the shares in Quinn Group at the time. They also allege Anglo behaved in a "morally reprehensible" manner towards them when they signed guarantees for loans. They say they were never informed of the perilous state the bank was in and were never advised by the bank to take independent legal advice. Sean Quinn Snr began investing in contacts for difference (CFDs) in September 2005. These are financial instruments which allow someone to bet on the performance of a share without actually owning it. Mr Quinn soon concentrated almost exclusively on Anglo shares, but when the bank’s share price collapsed he suffered big losses. Large sums of money were loaned by the bank to companies owned by the Quinn children so their father could fund "margin calls" as the share price dropped. The loans were also intended to prop up Anglo’s share price. Mr Quinn’s CFD position was eventually unwound, with one portion being purchased by a group of investors known as the 'Maple Ten' and the rest by the Quinn Group. Mr Gallagher told Mr Justice Garrett Simons the case being brought by the Quinn children was "extraordinary". He said the plaintiffs had many opportunities to complain the loans were invalid, but had remained silent and continued to approve the transactions. He said they had no entitlement to make the case they were under the undue influence of their father. The claim of undue influence, he said, was originally made against Anglo, but had been substituted with "a new and impermissible claim" against their father. The barrister said the children alleged a senior Quinn executive, Dara O’Reilly, was not their agent and never represented them. But he said at no stage in the opening of their case did they explain how someone who did not represent them could present them with documents to sign in connection with the loans. Mr Gallagher said the Quinn children had suggested signature templates were sometimes used, rather than documents being signed in person. But he said that at no stage was it ever suggested Anglo had applied their signatures to the loan guarantee documents. The barrister said it had been suggested that while the children had legal ownership of Quinn Group, their father ran it. But he said this contention was not borne out by documents. "They were involved in so many aspects of these transactions," he said. Mr Gallagher said the Quinn children “knew what they were signing” and “had expert help”, when they signed various guarantees and other documents related to the loans. “They had the most experienced and capable people who knew about all of these documents,” he said. The barrister said it “beggars belief” that these would have been signed without the children knowing what they were about.